9658 L AUSTRALIA (1959) Lyrebird*. 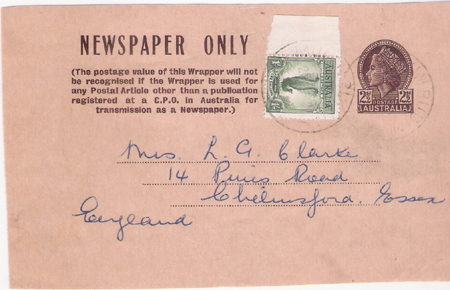 Newspaper wrapper uprated with 1 shilling stamp. 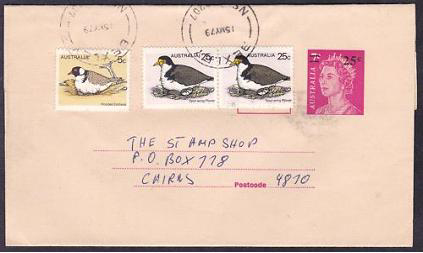 9677 L AUSTRALIA (1979) Hooded dotterel*. Spur-winged plover*. Newspaper wrapper uprated with Scott Nos 682,684.